Printable grammar crossword puzzles are available online. There are also sites where you can create your own crossword puzzles and other word puzzles and print them out. HaveFunTeaching has a lot of worksheets which would be excellent for a 7th grade English class. For example, there is a contractions crossword puzzle as well as an antonyms crossword puzzle. Most sites that offer teacher resources for 7th grade only have activities, tests, and worksheets. For example, there is a printable word search puzzle for 7th grade reading at Classhelper.org. At EdHelper you can make some printable free 7th grade English grammar crossword puzzles using your own words. After you put in your words, you can add the clues or use their vocabulary tool to help you make the clues. You also have the option of making different versions of the puzzle, so you can hand out different puzzles. 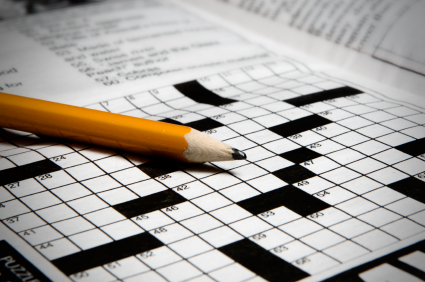 Crossword Puzzle Games allows up to 20 words to be used in a crossword puzzle. It is very easy to do. Another site for making your own crossword puzzles is Armored Penguin. This has all the regular options, like size of the square, but also has more like the color of the unused squares, the type of font, and whether or not you want an answer key. Word search puzzles can help with spelling and learning new words. A good site is Word Search Fun. At this site you can create your own word search puzzle using your own words. There are 30 categories of puzzles and you can browse the language skills section to see other puzzles made by users of the site. There are over 3,700 puzzles under this section. All you have to do is insert the words and the puzzle is made for you instantly. You can choose to let the site publish your game. Word search puzzles, crossword puzzles, and double puzzles where you unscramble words or phrases to find the hidden word or phrase. Fallen phrase puzzles, where you have to figure out which letters go into which squares to reveal a hidden phrase or quote. A hidden message puzzle, where the message is hidden between words. Now that you know some sites where you can make printable crossword puzzles, you might want to know some resources for worksheets. TeAchnology is good resource for 7th grade English worksheets. There are many worksheets available sorted into five units. Each unit has a cryptogram to help with vocabulary words, a spelling worksheet and a vocabulary quiz. Also included is a word chop, which is a puzzle with vocabulary words that are cut in half, a word scramble, which has the words mixed up, and a word search puzzle. For reference, there is a word list included that has the words for each unit. At Test Designer you select the questions you want on a test or worksheet and the site customizes a test just for you. You just read the questions and check the box next to the ones you want, clicking the "Add Selected Questions to a Test" button before going to the next page. There are questions on adjectives, adverbs, punctuation, noun and verb agreement, paragraph and sentence structure, literature, reading strategies, spelling, and vocabulary. This is a great way to customize your teaching. "Printable Free 7th Grade English Grammar Crossword Puzzles." YourDictionary, n.d. Web. 24 April 2019. <https://education.yourdictionary.com/grammar-rules-and-tips/printable-free-7th-grade-english-grammar-crossword-puzzles.html>.